Did you remember to SIGN UP? The main purposes of the court of honor are to furnish formal recognition for achievement and to provide incentive for other Scouts to advance. 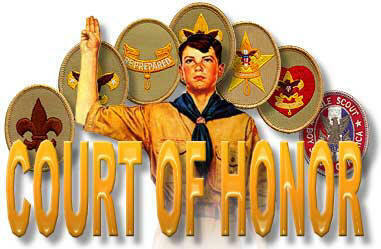 All Scouts who have advanced since the previous court of honor are honored. Their parents and friends should be invited to attend the ceremony.